Enjoy what matters the most, leave the worry to us. 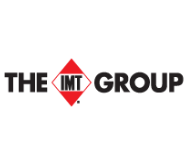 The IMT Group consists of IMT Insurance Company and Wadena Insurance Company. Our home office is located in West Des Moines, Iowa and our insurance products are offered through more than 975 Independent Agencies based throughout our six state territory of Iowa, Illinois, Minnesota, Nebraska, South Dakota and Wisconsin. Spiegelhoff and Associates Insurance is a locally owned and operated independent insurance agency. We are here to serve all of your insurance needs.